What is Creative Storytelling and How Can it Improve my Video? Human society is built on storytelling, from myths and legends to great seminal books and films to the exaggerated accounts we give after a long day in the office. Over many millennia stories have helped us to communicate, cooperate, and conquer, allowing our societies to flourish and our influence to spread across the globe. A need to tell and hear stories is essential to the species Homo sapiens – second in necessity apparently after nourishment and before love and shelter. Millions survive without love or home, almost none in silence; the opposite of silence leads quickly to narrative, and the sound of story is the dominant sound of our lives... "
This is why, even today, the key to any great piece of content is a story. Any story will do, no matter how simple or everyday it may seem. It's true for your corporate video too, whether you're looking to convince customers to buy your product or teach your employees a new sales process. No matter your aim for your video content (and that is important — make sure to decide on your video strategy before you move onto your approach to production), storytelling in your video will help you to engage your audience and achieve the results you want. What's so great about stories? Stories grab at our hearts. They engage our emotions. They make us feel something for the characters, and allow us to empathise or even imagine ourselves in their place. Basically, storytelling can transplant ideas, thoughts and emotions into the minds of your audience. Stories cause almost all areas of the brain to fire at once, and release Oxytocin to boot. What does this ultimately mean? It means stories in your video content give you the ability to alter what your audience think, feel, and do (in a non-evil mastermind way). What we all knew as kids is right — stories are sort of magical. Haven't we seen all of this before? It's true that once we're hooked on a story, we're hooked for good. We want to keep paying attention so we can find out what happens at the end (and those neurochemicals in our brain make sure we do). But getting your audience to pay attention in the first place is a little trickier than keeping them watching. The fact is that we've heard most stories before, at least on some level. A person trying to better their lives. A parent caring for their child. Somebody looking for revenge. These are all typical narrative threads that we have heard, read or seen variations on multiple times throughout our lives. There's a reason why scholars argue about there being a limited number of basic stories or plots (that number is variously placed at seven, 20 or 36). It's unlikely that you're going to create a truly original, groundbreaking story as part of your video content. But that's okay. Just because we've heard similar stories before doesn't mean a new story will be any less affecting or engaging. You don't need a unique story for your video to succeed: what you need is a unique take on your story. How do I find that unique angle? Creativity is the missing piece. Creativity is how you grab your audience's attention in the first place. Give your audience a new, fresh look at a story they may well have heard before and they'll still sit up and pay attention. Mothers struggling with the demands of motherhood. That's a pretty common story (even if it is a compelling one). Fiat managed to put a new twist on it by comparing mothers to those with a completely different lifestyle: gangsters. Some clever wordplay helped too. It's this fun contrast of two typically opposed elements that made the video so successful with its target audience. There are plenty of ways to inject creativity into your video content and its story. Like in the Fiat example, you can take humorously different subjects and juxtapose them. Or try telling a well-known story from a different perspective. Or take a leaf from the book of filmmakers everywhere and transport a familiar story into a different setting or time. In fact, there's no need to even be as out-there as that. With video you can tell a story in a new way just by using different camera shots, music, actors or lighting. All of these elements make up the approach behind your video, and using them effectively will soon engage your audience. But the point is that you need to consider your story as well as how you can tell it in a novel way. Storytelling and creativity are two sides of the same coin. For an effective video that can grab your audience's attention and keep them hooked, you need both. You need creative storytelling. OK, but how do I actually use creative storytelling? We've been pretty theoretical so far. Here's an example of how using stories and creative approaches in tandem in your video content might actually work in practice. Imagine that you're producing a video celebrating 50 years in business selling sports clothes. You want to use the video both internally and externally — internally at your team party to share in your company values, celebrate how you've helped your customers and inspire team members; and externally on your website to build trust with potential customers and show them your dedication to your craft and products. You decide to make two separate cuts of the video content, each with different stories and creative approaches, to meet these two separate goals. Yes, there will be stories behind even these kinds of videos. And those stories need to start with insights into your target audience. Always remember that you're creating your video content for them, not for you, so build a story that is tailored towards their interests, problems they face everyday, and joys they share in. Of course, with this plan in place you would then go into more detail in your creative approach and how you'd use specific video techniques to tell your story in a fresh and attention-grabbing way. As long as every decision you make is based on your audience, their interests, and your aims for the video content, your creative storytelling will be sound. With storytelling and a creative approach you'll grab and hold your audience's attention (allowing you to impact what they think, feel and do) and ultimately achieve your video goals. Knowing the power of these techniques will enable you to harness it for each video project you undertake. 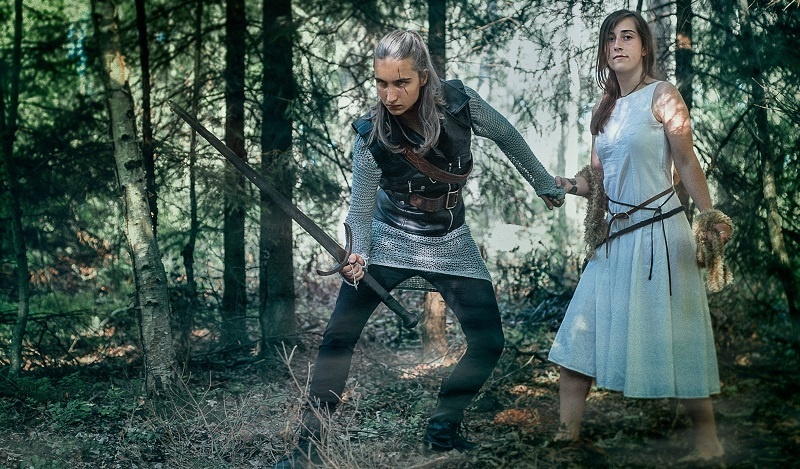 Of course, if you don't have experience at creative storytelling in-house, it may be worthwhile finding a video agency who offers these services to help you produce your video content. Learn the key steps to planning engaging & effective video content. 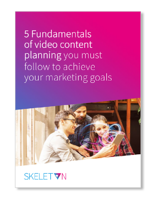 Packed full of our expert advice on how to create a video strategy, set SMART objectives, and generate the best possible video ROI.